Ken Findley, a leading corporate real estate veteran at J.H. Berry & Gilbert, Inc., specializes in the leasing and sale of Class A office space for landlords and corporate tenants. He leverages his extensive knowledge of the office market industry for his clients, and consistently delivers measurable results. Ken has brokered transactions of all sizes and complexities up to 670,000 square feet, and has the keen ability to understand each client’s unique needs and each property’s potential, allowing him to also handle industrial, aviation and land properties successfully. Prior to joining J.H. Berry in 2012, Ken worked on a $200 million redevelopment in Mountain Brook and a major office lease transaction for three years. Before this redevelopment, he served as the principal and executive vice president of marketing for Harbert Realty Services for 18 years, during which time he oversaw the leasing and marketing of the Harbert family’s portfolio and third party assignments, including The Galleria Office Tower for Jim Wilson & Associates. Prior to Harbert, Ken worked at Daniel Corp, where he managed the leasing of approximately 600,000 square feet of office space in suburban office parks, Meadowbrook and Grandview. 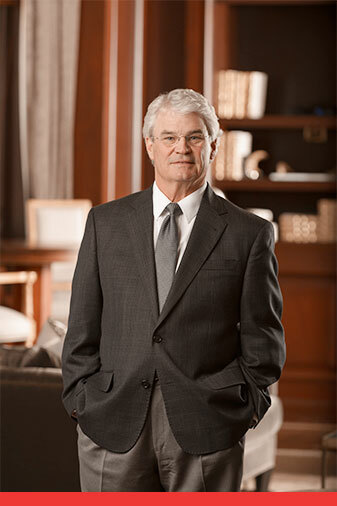 Ken began his real estate career in 1979 with Taylor & Mathis as the director of leasing of a 1 million square feet Class A office portfolio in Inverness. Ken received his Bachelor of Science from Auburn University. Ken is a former president of NAIOP, the Commercial Real Estate Development Association.